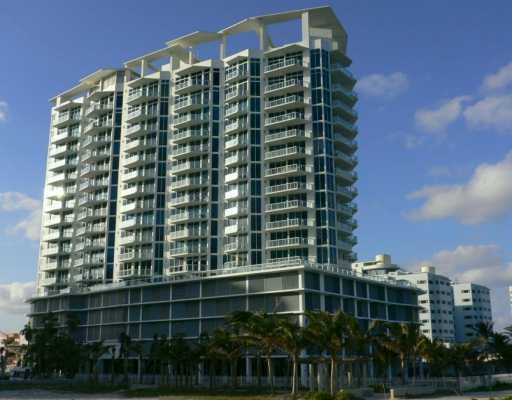 Just north of Allison Park is Bel Aire on the Ocean, an eighteen story building featuring one and two bedroom Miami Beach condos for sale located by the beach and overlooking the Atlantic Ocean, all within the North Beach area of the city. With more than 140 feet of sun-kissed beach to explore, Bel Aire on the Ocean offers a great living experience. Spend some time in the health club and spa, swim in the heated pool, there's even a business center and conference center available as part of the Bel Aire on the Ocean condo. Some of the residential features of Bel Aire on the Ocean include Italian cabinetry, marble bathrooms, terraces with glass panels, granite kitchen countertops and much more. The southern facing units have great vistas of the parks. Bel Aire on the Ocean is obviously next to the namesake beaches of the barrier island it calls home or you can explore beyond the building and enjoy an al fresco meal on Lincoln Road, a drink at Ocean Drive or party in the South Beach area. Miami's downtown area is west across Biscayne Bay from Bel Aire on the Ocean.